Rafe is a 5 years old Hybrid. 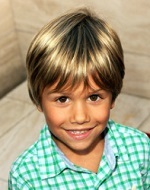 He is the youngest of Chase and Rachel's children and their only biological child. His mother was pregnant with him when they arrived in Budapest and joined the community. He was born 6 weeks premature when Nathan attacked Rachel and turned her into a Vampire. Rafe, who would have been born a Lycan, had to be turned into a Hybrid, using a blood transfusion of a Hybrid, to survive. Rafe is a little fighter and would not know now that he was born premature. When the humans attacked the community, Rafe was too young to remember it and he doesn't remember the people who lived with his family. That includes his missing brother, Levi. Besides Levi, Rafe has two older siblings, Ming and Piao that he is still with. 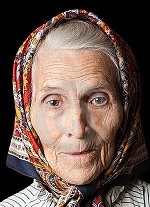 Oksana is a Russian human, who is 80 years old. She grew up knowing about immortals and working with them. She was raised with the group of humans that had served the Volkov family for centuries. Oksana was moved to Budapest when Sasha and her brother had to move their people from Russia to Hungary. In the community, Oksana served as a surrogate grandmother to many of the children. It is a role she enjoys, since she had lost her own family during that attack back in Russia. She had been helping Ruthie with a school project when the humans attacked their home. She was rescued with the young Vampire and has stayed with the immortals ever since. Oksana is a stubborn old woman, not above smacking someone with a cane to get attention. Nor is she afraid to voice her opinion. Although she is very loyal person as well and cares deeply about the group she is with. She is very fond of all the kids. She is always willing to go on supply runs. Because who really questions what a little old lady is doing? Declan would tell you that he is an average human being in all ways except having a relatively unusual career: he is a fairly successful folk singer and is actually able to make a living touring with his band - a group called Standing Stone - and selling albums, which is saying a lot in a highly competitive business. Other than that, he would describe himself as a regular guy. He has a serious girlfriend, Clare Murphy, and has made a comfortable life for himself in his home town on a small Northern Atlantic island. The persecution of immortals bothers Declan, particularly since while he was growing up his grandmother loved to tell him stories of the Fair Folk, but as far as he knows he has never met an immortal or crossed paths with one in any way, so his life is not directly affected by the situation. Last edited by Monkey Kitty; 08-15-2018 at 07:22 PM. 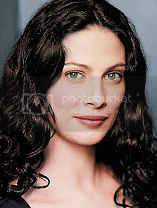 Clare is a Fae woman who is approximately a thousand years old, hails from the legendary Drowned City, and is the daughter of a countess of the Unseelie Court. By strange genetic chance combined with illusory magic, however, she appears very human, and is able to blend in with society. For some time she has been living among humans, and leads an unobtrusive life as a special education teacher in a small town. Like many of the nobles of her kind, Clare has some degree of combat magic, but her true power is healing. Clare has the ability to magically heal even severe illnesses and injuries - but at a cost. To heal wounds she must first take the damage into her own body, and while she has far more natural self-healing ability than a mortal would, this still significantly limits how much she can handle, and she has to be careful not to bite off more than she can chew. For the moment, life is calm, but Clare is waiting for the other shoe to drop. She knows that eventually her boyfriend will figure out what she is, and then things may get complicated. Last edited by Monkey Kitty; 08-15-2018 at 07:32 PM.